The red variety comes from Italy, Synonyms are Aboto and Cecubo. According to the year 2010 DNA analysis The variety should be from a probably natural cross Piedirosso x Casa Vecchia have arisen, but this is in contradiction to the descent of Casaveccia (see there). 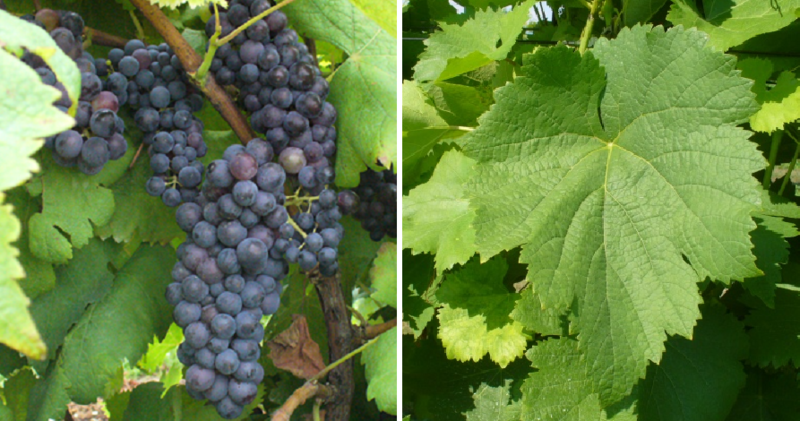 The medium-maturing vine yields alcohol-rich red wines with aging potential. It is mainly in the region Lazio, but also in Campania grown. The synonym Cecubo is associated with the famous ancient wine Caecubum, This is also used by a Campanian producer (Villa Matilde) for marketing purposes and produces a cuvée called "Cecubo". The antiquity Original, however, was a white wine. The acreage in 2010 was only 37 hectares with an extremely decreasing trend (ten years earlier it had been 696 hectares). This page was last modified at 19 November 2018 at 11:23.